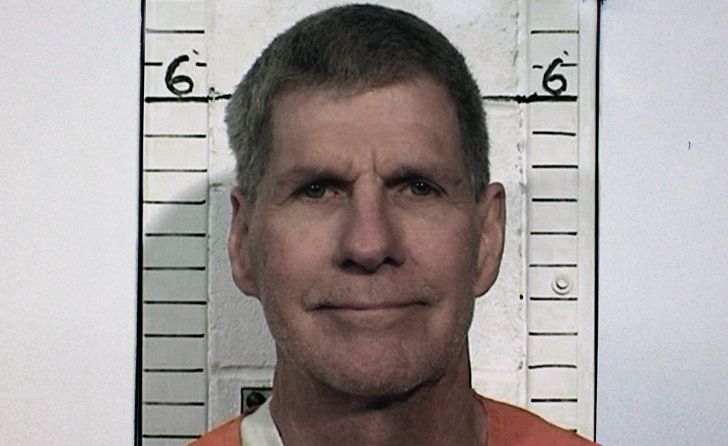 Oct. 27 – The California Board of Parole Hearings today found Charles “Tex” Watson unsuitable for parole at a hearing in Ione, California. Watson, 70, who has been incarcerated since November 27, 1971, is serving a life sentence for the seven Tate-LaBianca murders. Originally sentenced to death on November 11, 1971, Watson’s sentence was commuted down to life with the possibility of parole in March of 1973 when the death penalty was briefly outlawed. Today’s hearing, occurring 38 years to the day of his initial parole hearing in 1978, marked the 17th time he has been denied release. Watson has maintained a nearly perfect prison record with only one write-up from June of 1973 when he was cited for contraband and securing favors after a staff member had brought him a loaf of bread and a cantaloupe. He famously became a born-again Christian and has been active with his prison ministry for decades. During his incarceration, Watson has fathered four children from a marriage that has since ended. Today’s hearing was Watson’s first hearing since 2011 when he was denied parole for five years. As well as the first hearing since the Los Angeles County District Attorney’s office took possession of a November, 1969 recordings of Watson detailing his crimes to his to Texas attorney, Bill Boyd. The District Attorney’s office found out about the recordings around the time of Watson’s last hearing when writer Tom O’Neill told Deputy District Attorney Patrick Sequeira that he had been in negotiations with Linda Payne, a bankruptcy trustee who possessed the recordings. O’Neill interviewed Boyd in 2008 and the attorney discussed having the recordings. The following year, Boyd died suddenly, having a heart attack while running on his treadmill. Within months, Boyd’s law firm went into bankruptcy. O’Neill, who had tried unsuccessfully to get the recordings from Boyd when he was alive, now attempted to negotiation with Payne. Payne was hesitant, fearing it would violate the attorney client-privilege. O’Neill through the help of an attorney tried to convince Payne that the privilege no longer existed. Going through two boxes of legal records Boyd had related to Watson’s case, Payne found Watson’s contract with Boyd, as well as a 1976 attorney client-privilege waiver signed by Watson when he asked Boyd to turn over a copy of the recordings to a Chaplin co-writing Watson’s autobiography, Will You Die For Me? Payne contacted DDA Sequeria in March of 2012 to inform him that she would turn over the recordings to Los Angeles authorities. The following month, LAPD Chief Charlie Beck and then District Attorney Steve Cooley both signed an agreement to waive all exemptions and disclose all of the evidence and materials related to the investigation and prosecution of Charles Manson, et al, to the Los Angeles Police Historical Society. Days later, Sequeira emailed Payne and asked if she could expedite the transfer of the Watson recordings because he was eager to use information from the tapes in Bruce Davis’ June 2012 parole hearing. The next day, Payne appeared in bankruptcy court and filed the motion requesting a court order to release the tapes. After Watson learned of the plan, he contested, stalling the release for nearly a year. Days later when the press learned of the failed attempt, LAPD went on damage control, stating that they were in a rush because they had a dozen unsolved case they felt the tapes could provide information for. What were the cases, they would not disclose. The warrant was under seal at the time, so the press could not access it for further details. Months later when the seal was lifted, the warrant was disclosed to this website by the Texas judge who signed it. What were those dozen cases? There were none. The warrant only mentioned three cases, none of which occurred in Los Angeles. On March 24, 2013, Judge Schell ruled that Payne could release the tapes to LAPD because Watson, per his contract with Boyd, did not own the tapes and secondly, because he had signed the attorney-client privilege waiver in 1976. LAPD flew to Dallas and took possession the following month. A few articles reported this, but then things quickly went quiet. Since the onset, this story, as it played out in the media, was always about unsolved crimes. When word got out that the tapes didn’t contain anything about other crimes, media interest died out. Besides O’Neill’s two articles (Tale of the Manson Tapes and Tale of the Manson Tapes Redux) the tapes have received little to no media attention. But what was overlooked by the media from the beginning, was the timeline of the recordings. These tapes were recorded before any co-conspirators’ accounts had been made public. Whatever Watson stated on these tapes, he stated without the foreknowledge of what others involved were saying back in Los Angeles. The District Attorney’s office received a copy of the tapes and transcript on May 22, 2013. Requests for these files are promptly denied because of the investigative file exemption in the records act. Something that totally contradicts the two agencies decision to release their case files to the historical society. A decision that was made after they learned they would get the Watson recordings. If they were really investigating something, what sense would it make to disclose all of the files to the historical society because doing so meant the exemptions no longer existed? Requests periodically get renewed and yield inconsistent answers. In May of this year, the Los Angeles Times quoted Bill Hayes, Captain of LAPD’s Robbery-Homicide Division, as saying there was nothing on the tapes. This led to further inquires about the recordings and the many conflicting statements regarding them. If the LAPD had unsolved cases they suspected the Manson family’s involvement why didn’t they include them in their October 2012 warrant? Why didn’t the District Attorney’s office mention an investigation or how the release of the recordings would endanger an investigation in their answer to the California Supreme Court in response to Leslie Van Houten’s attorney’s request for copies? To date, the District Attorney’s office and LAPD continue to object to disclosure of the recordings. The Cold Case Homicide Unit within the Robbery Homicide Division feel releasing the tapes could jeopardize future investigations and prosecutions. Furthermore, they argue that information contained on the tapes that may appear to be innocuous now, could prove significant, if other information develops. Both arguments completely contradict the two agencies action of disclosing their case files to the historical society in 2012. What little we know about the contents of the recordings came in the District Attorney’s Supreme Court answer. Their brief summarized that the recordings were essentially no different than the state’s case in the original trials. They go on to say that Watson rambled on about LSD, secret worlds under Death Valley and bizarre racial theories. These statements made by the District Attorney’s office to the high court confirm that Watson does talk about the Helter Skelter motive. According to the District Attorney’s office, they, along with LAPD, still consider this investigation open and active. What exactly are they investigating, is anyone’s guess because that’s as specific as they are willing to get. There is no evidence of any nexus between the tapes and any unsolved crime. And based on their answers, these agencies seem confident the recordings are protected by the investigative files exemption in the records act, not because they can be linked to any specific case, but simply because they listened to them. While the investigative files exemption serves an important function in that it ensures the public’s right to know does not impede enforcement of the law. To suggest that the exemption protects files unrelated to any specific crime is an extreme interpretation of the statute and case law, that effectively puts all law enforcement agencies above the records act, which could not have been the Legislature’s intention. Following this logic, the LAPD would have the ultimate ability to shield any record from disclosure simply by stating that they investigated it for possible violations of the law, regardless if any violations were evident before or after their review. While the fate of the recordings seem unknown, Watson’s own fate is a bit more clear. He will remain in prison for at least five more years, and more than likely, the rest of his life. Interesting that he got another five year denial. The parole board seem to be sending him in particular a strong message. This issue with these tapes is getting on my damn nerves already. If there wasn’t anything significant on those recordings, why is everyone so secretive with them? That Payne woman is lying if she said she didn’t listen to them. What fool wouldn’t listen to them? Someone not interested in the case that didn’t know the importance of them. Imagine if you were the logger in and out of a tape library or something and your interests weren’t in any of the tapes you log in or out. Imagine you were purely digital and had no interest at all in analog tape. All kinds of things could pass you by. But they wouldn’t really be passing you by because you’d have no interest in them…..
That was in response to Lee’s last question, by the way ! Is there a transcript of this hearing anywhere? Uh…Charles “Tex” Watson should have gotten the death penalty enforced on him ! Watson hails from McKinney, Texas.